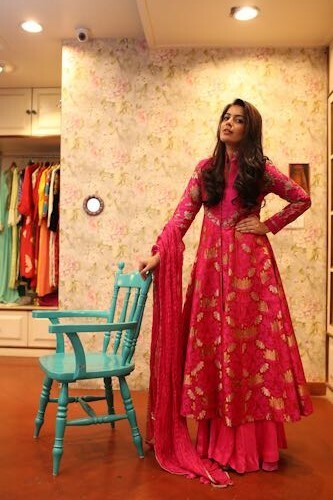 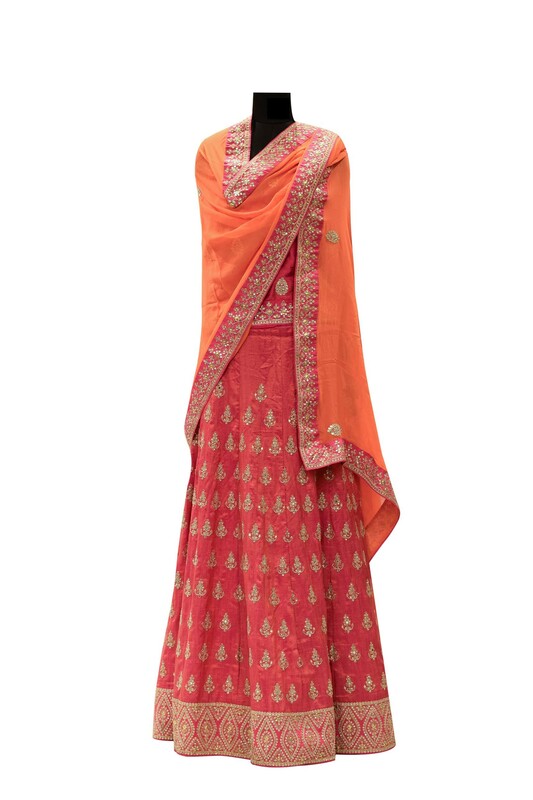 This set features a couture coral pink colored raw silk based unstitched blouse. 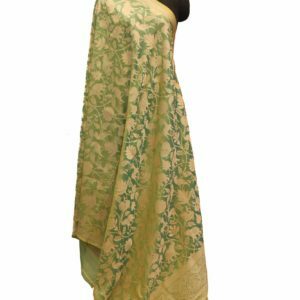 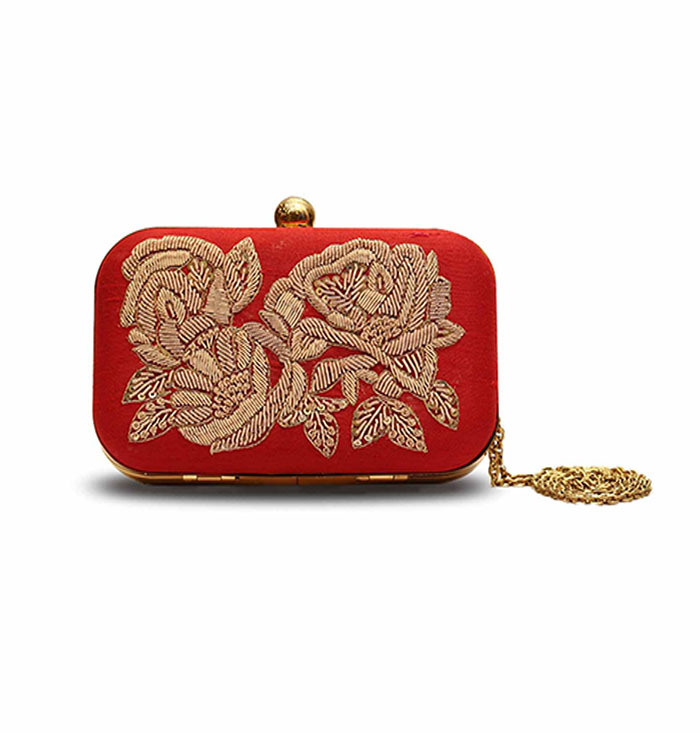 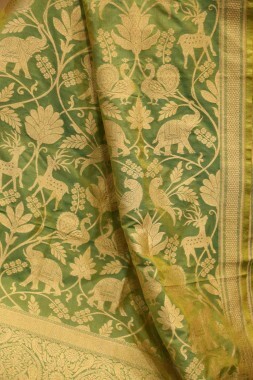 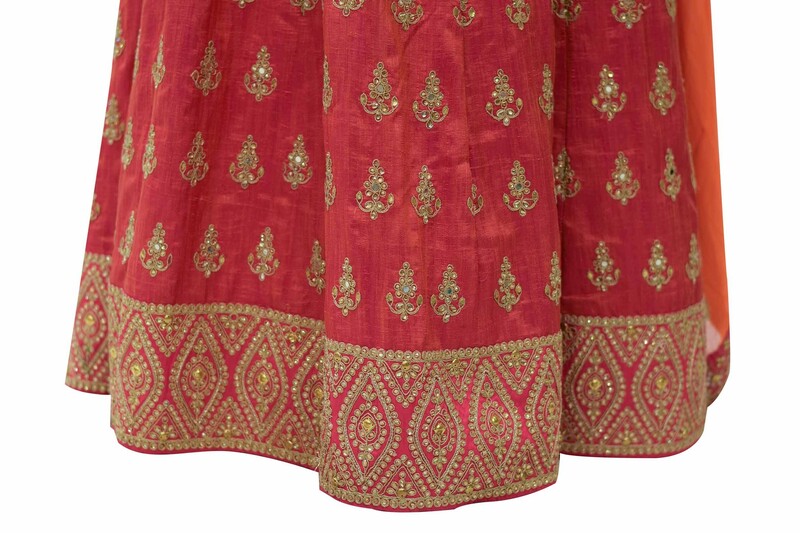 It has floral silver gold gota-patti embroidery, which is intricate with kundan and dori work. 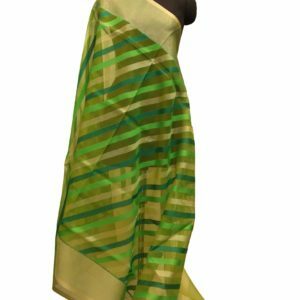 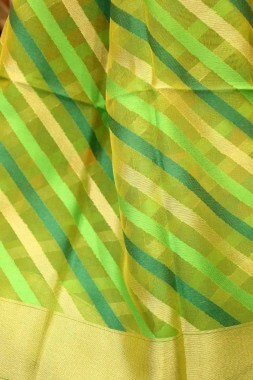 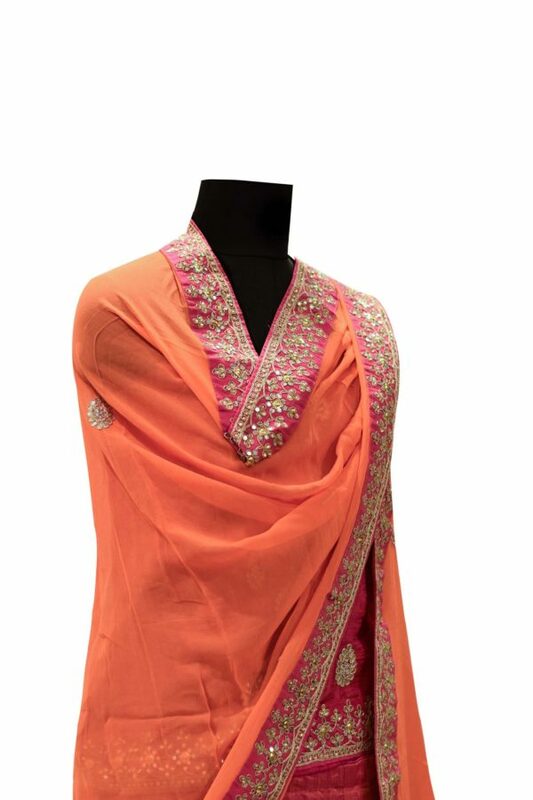 It comes along with the orange colored dupatta with georgette base. 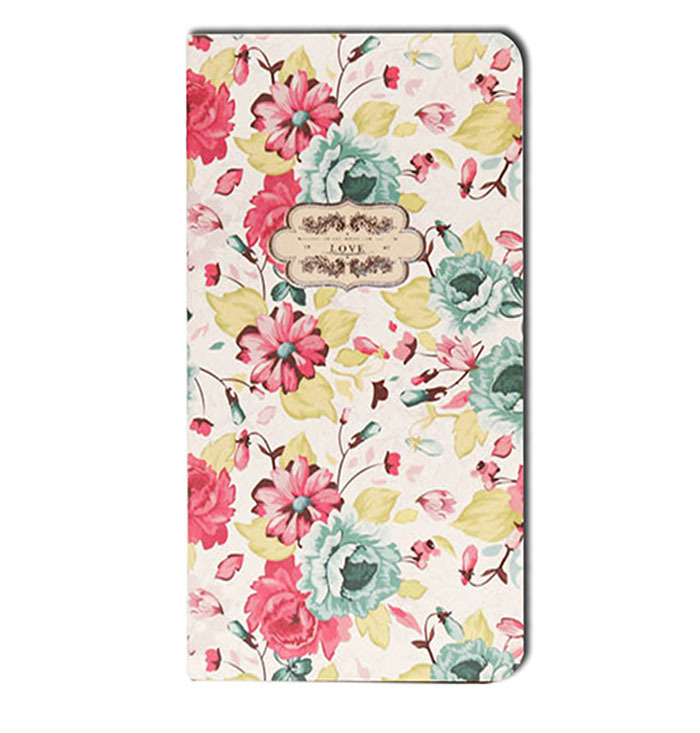 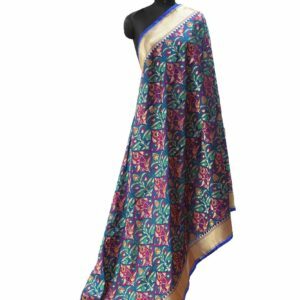 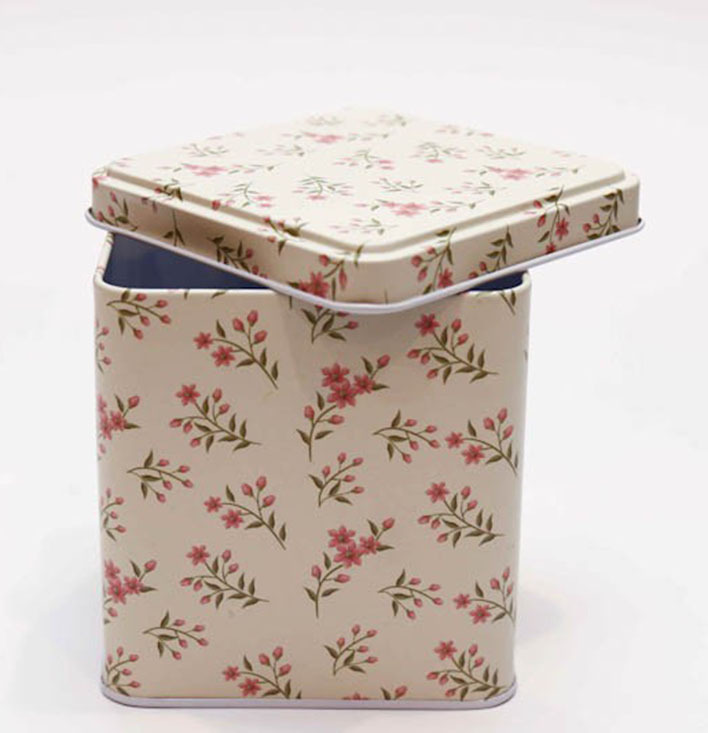 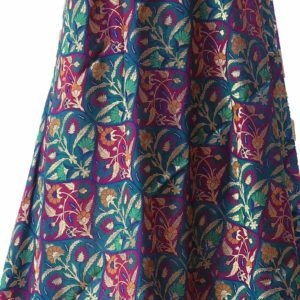 It has pink colored four sided border which has kundan, dori, danka and gota-patti embroidery in floral pattern. 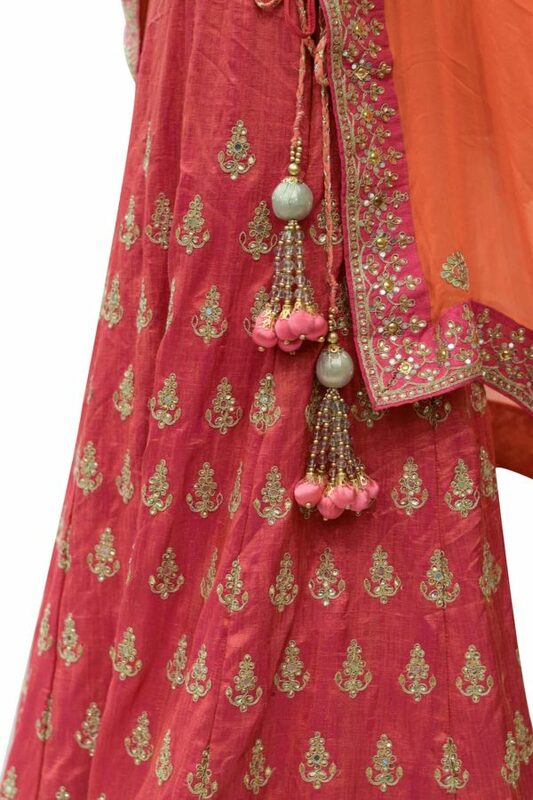 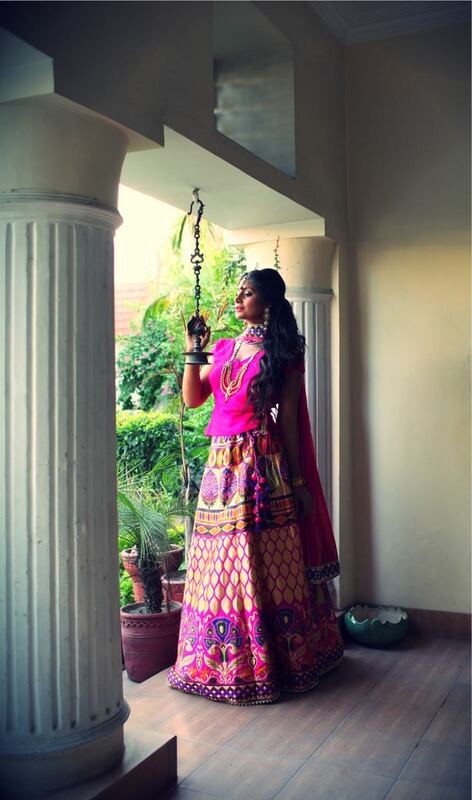 This set paired with the coral pink colored lehanga with gota-patti, danka, dori and kundan embroidery. 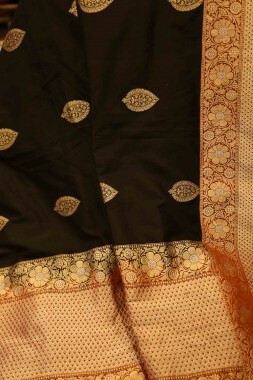 Lehanga has tasselled latkans hangings on the side front.